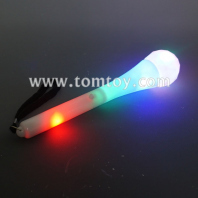 TOMTOY Light up Microphone is Great for party favors and gifts for children. Let your kids showcase their musical talent with the Echo microphones. Their voice echoes as they sing like they are in a professinal concert. light up microphones will make any performance look great, and as long as you look great. TM01224 is our hot sale microphone. Perfect for pretend play, party favors, and prizes, these light up microphones have multiple light settings for party fun!